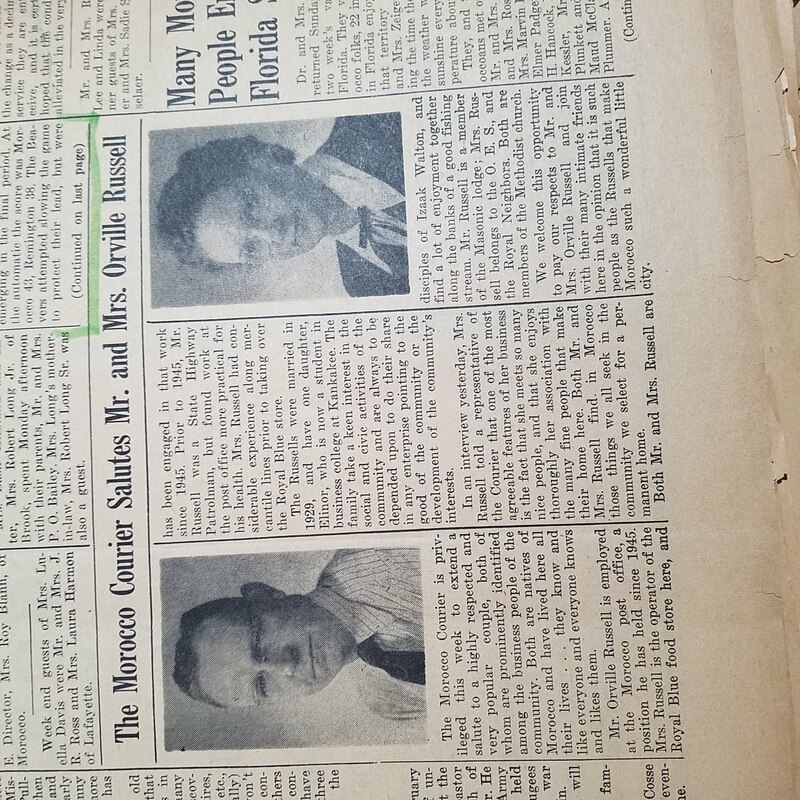 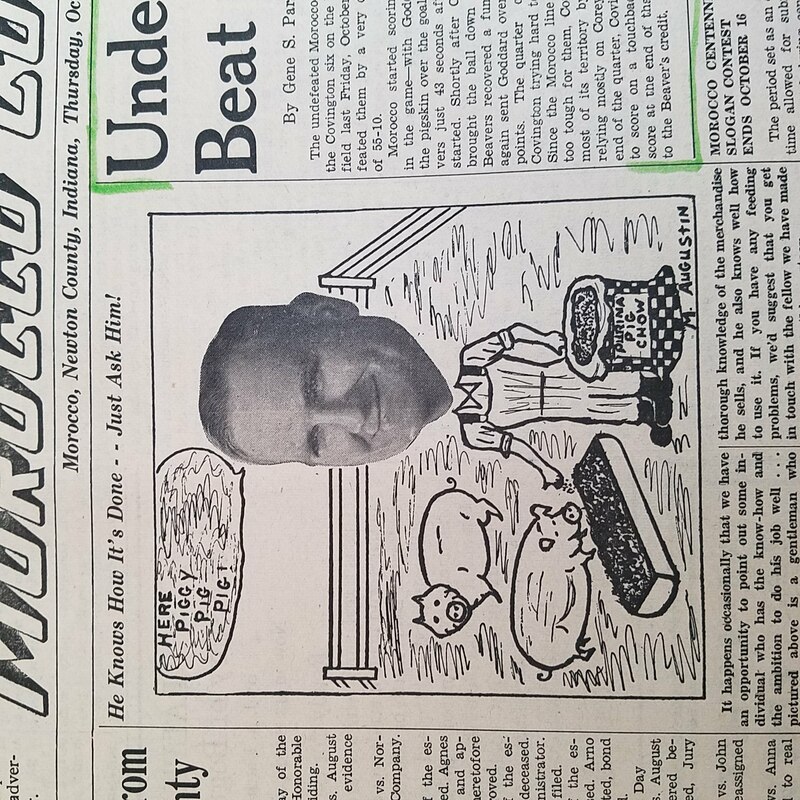 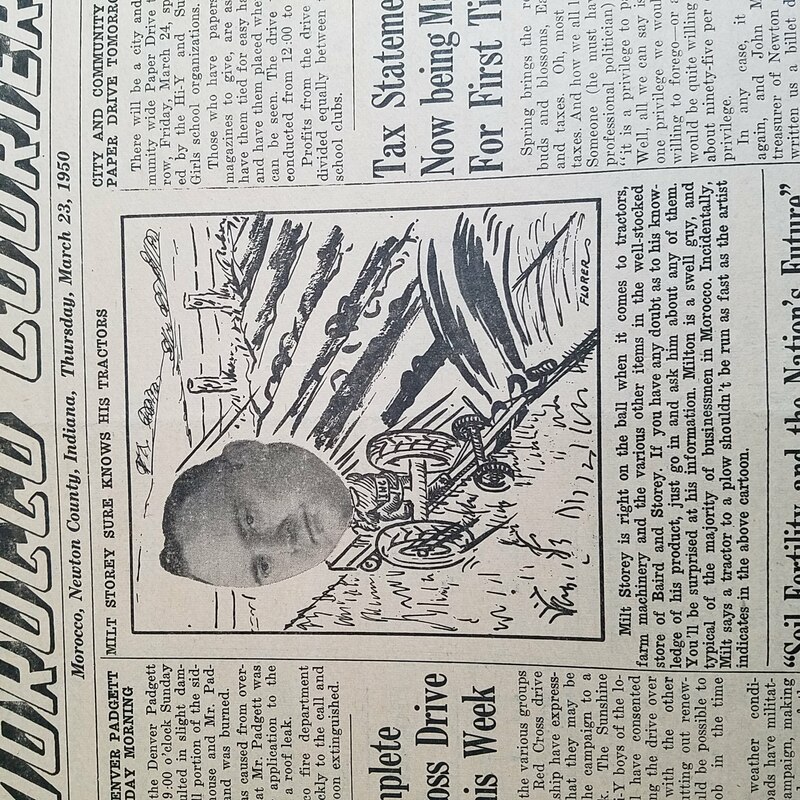 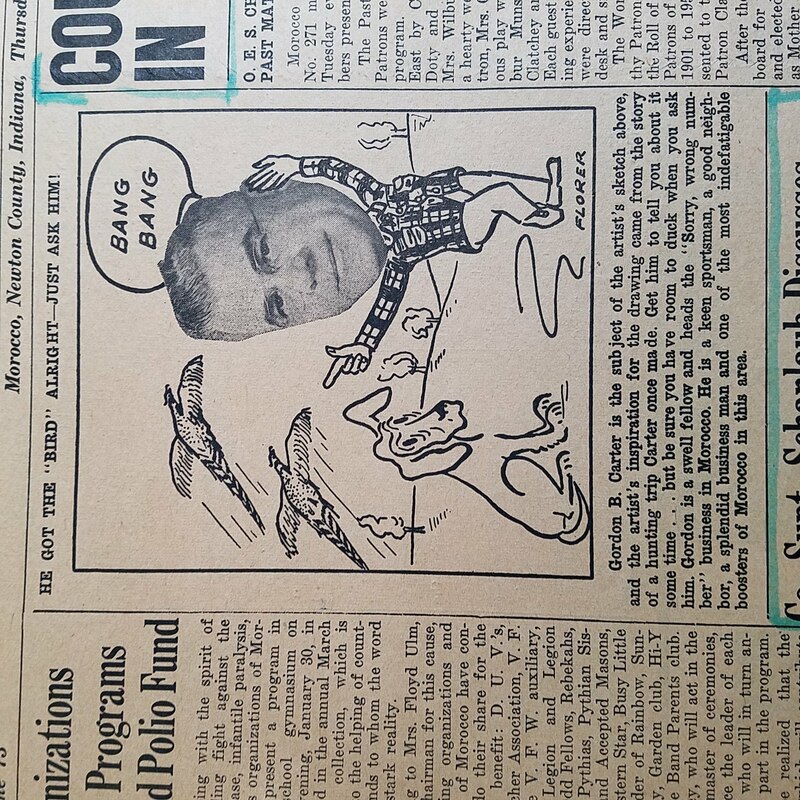 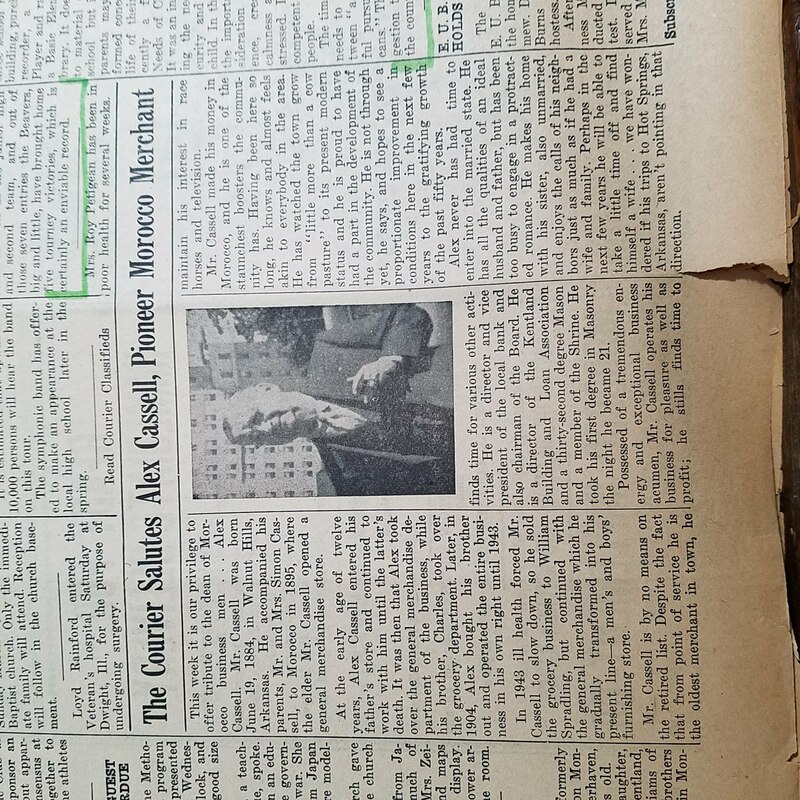 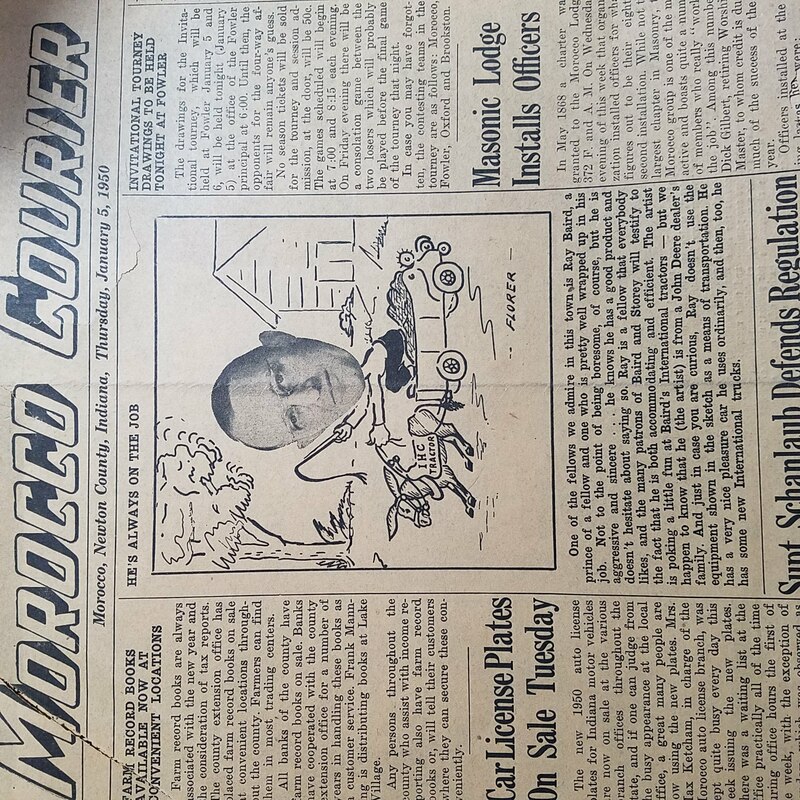 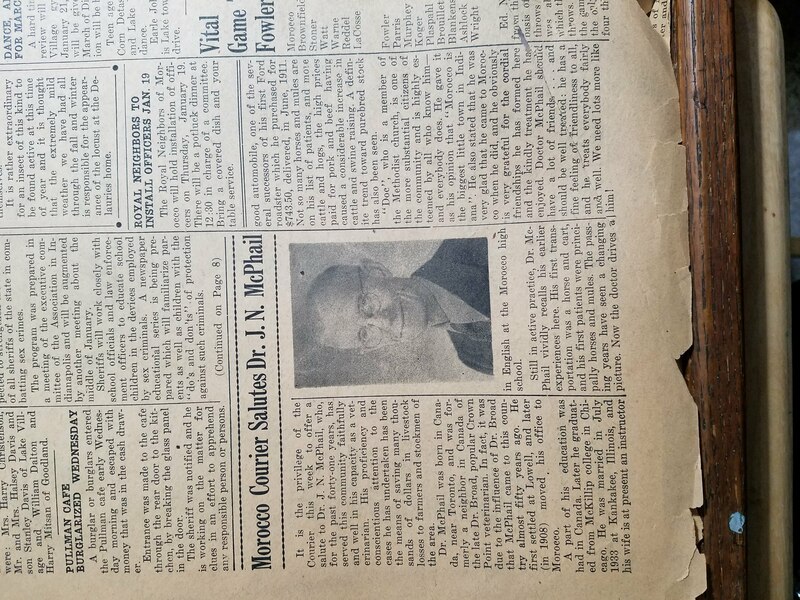 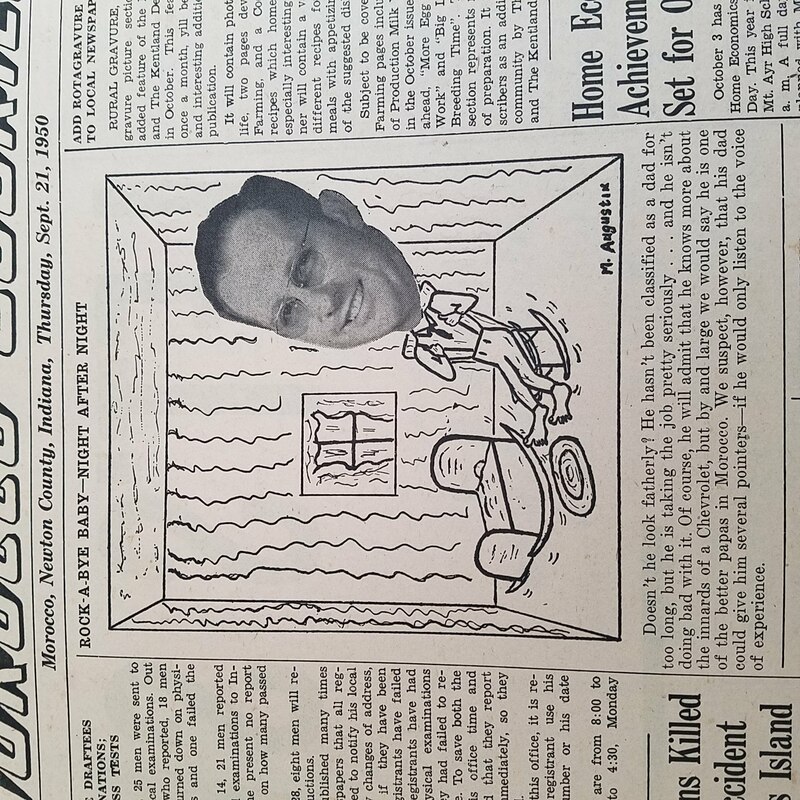 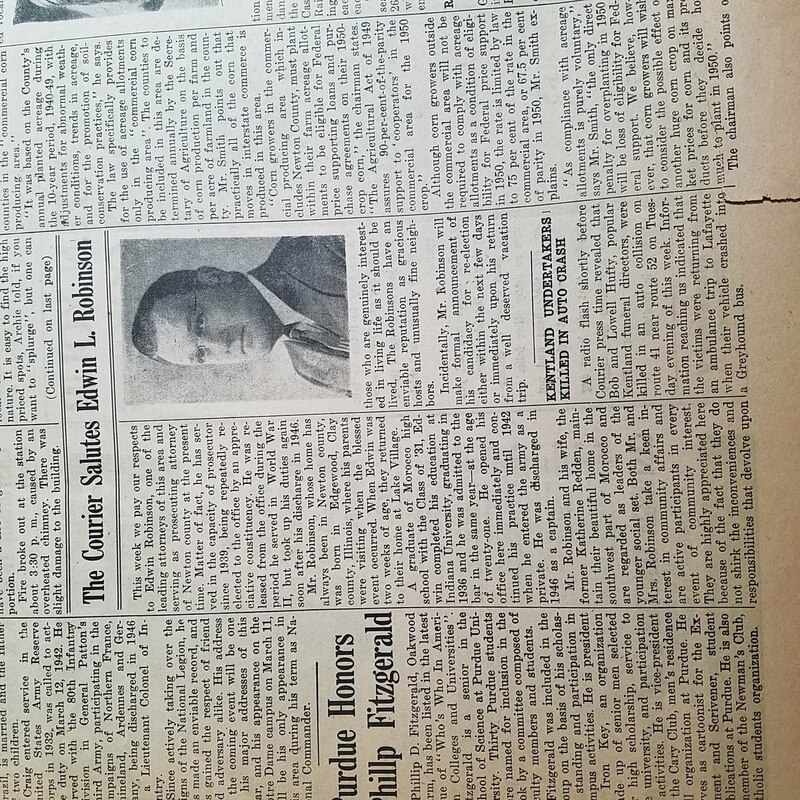 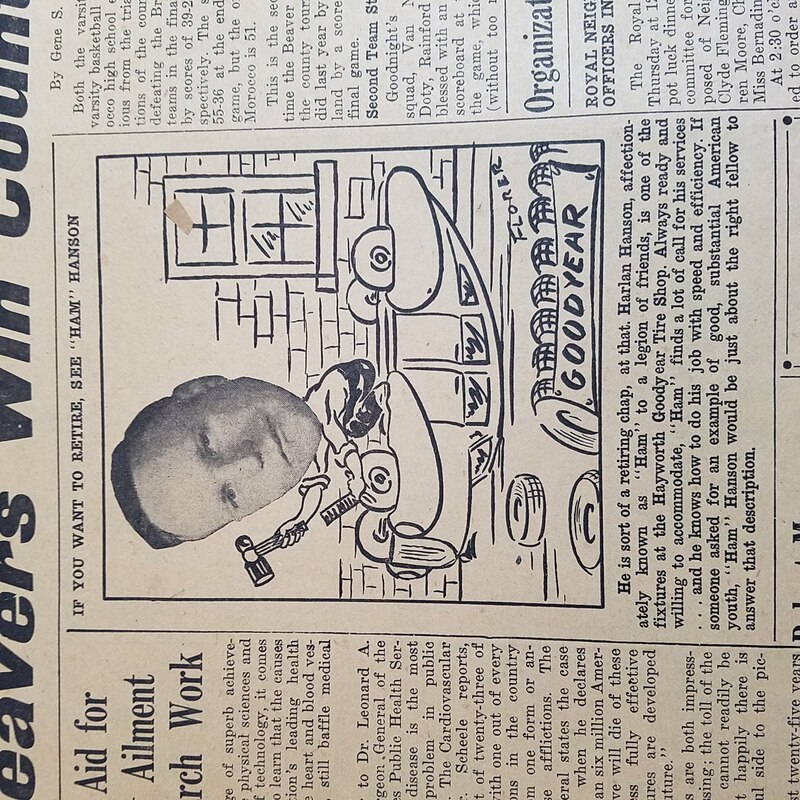 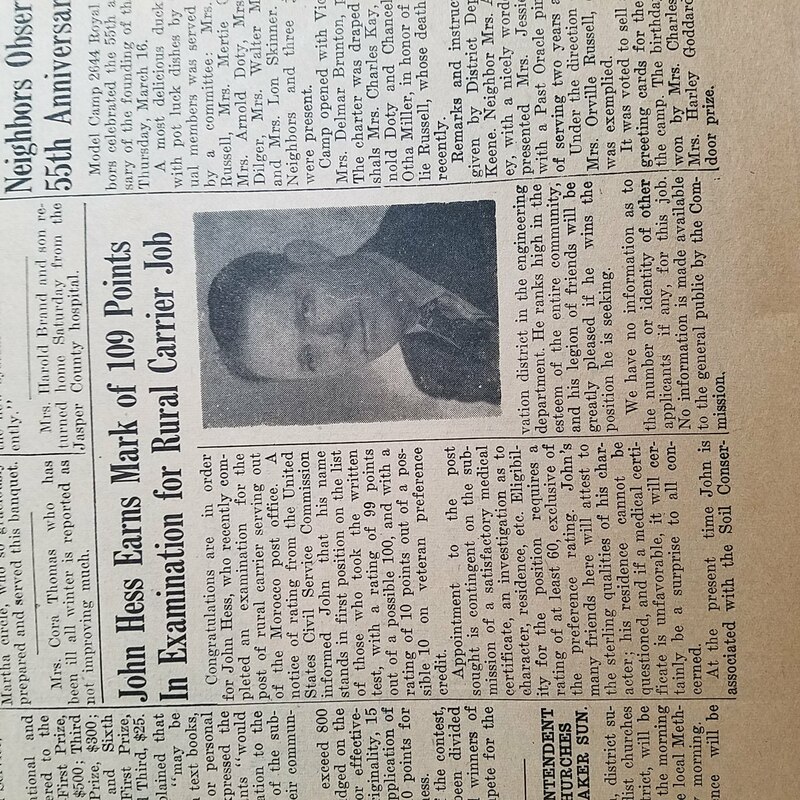 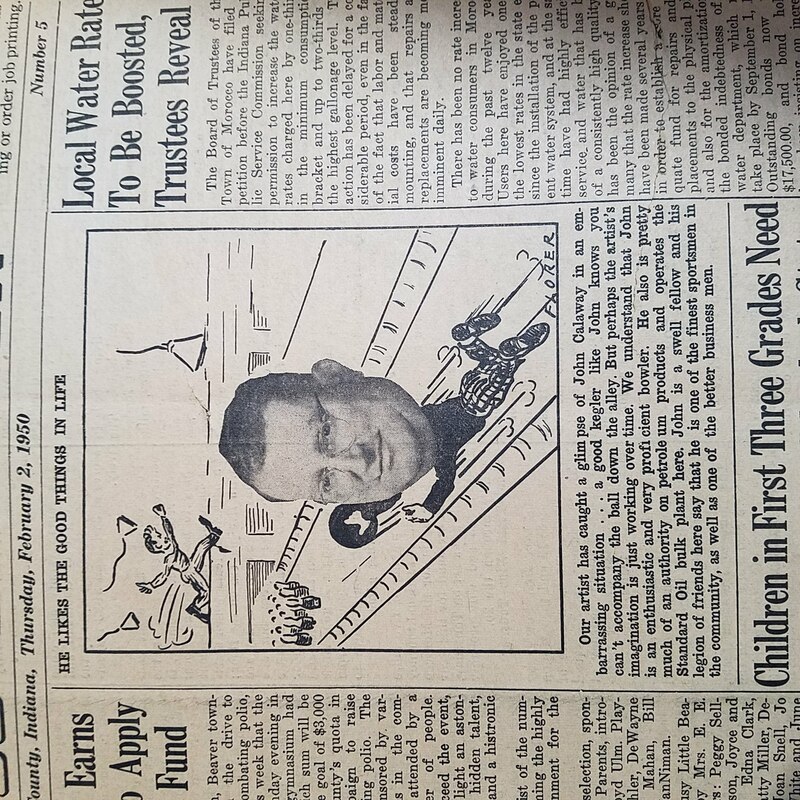 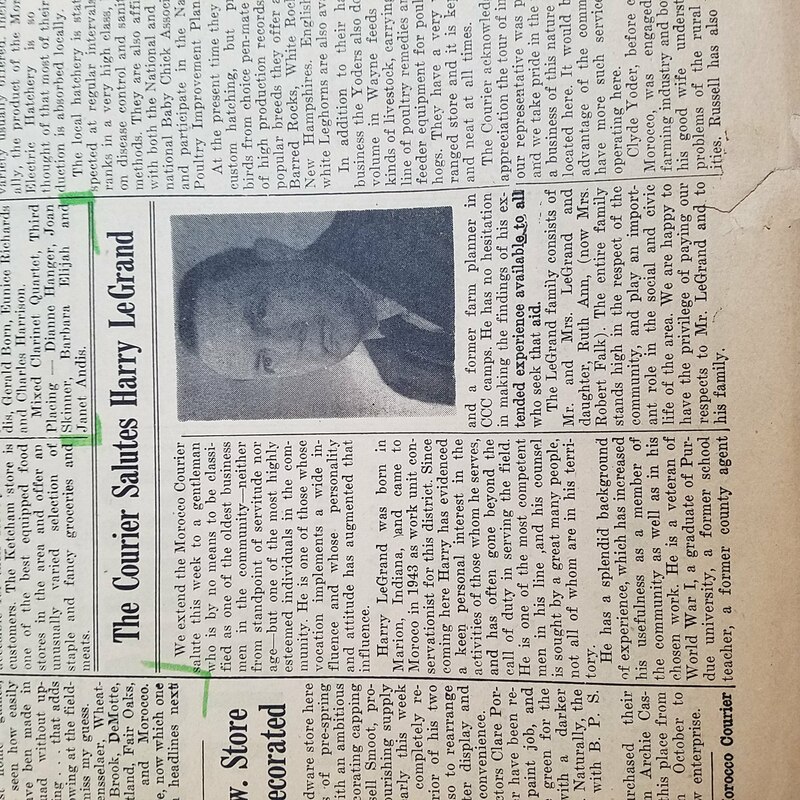 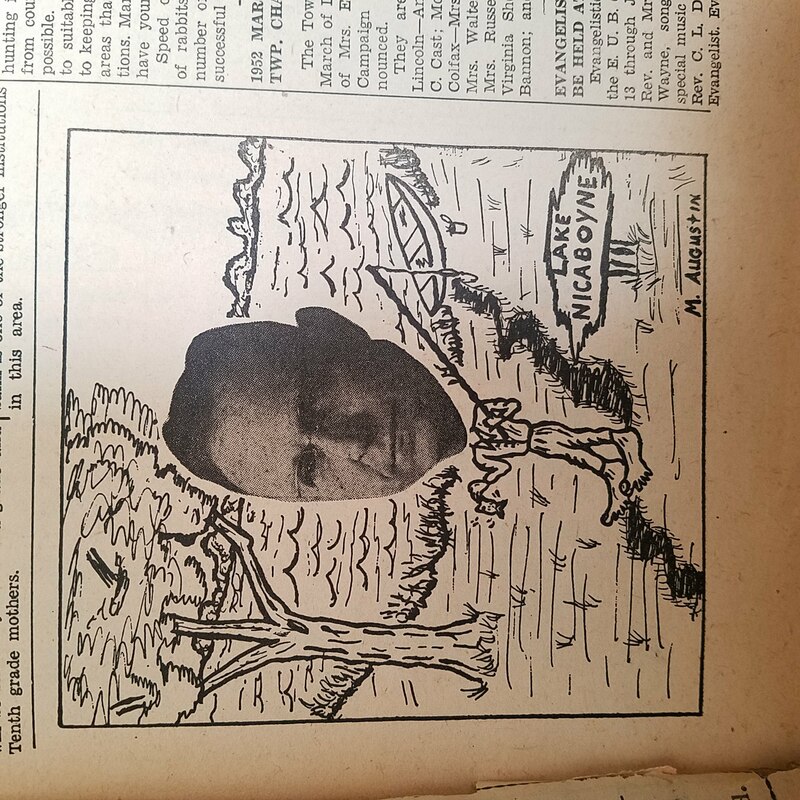 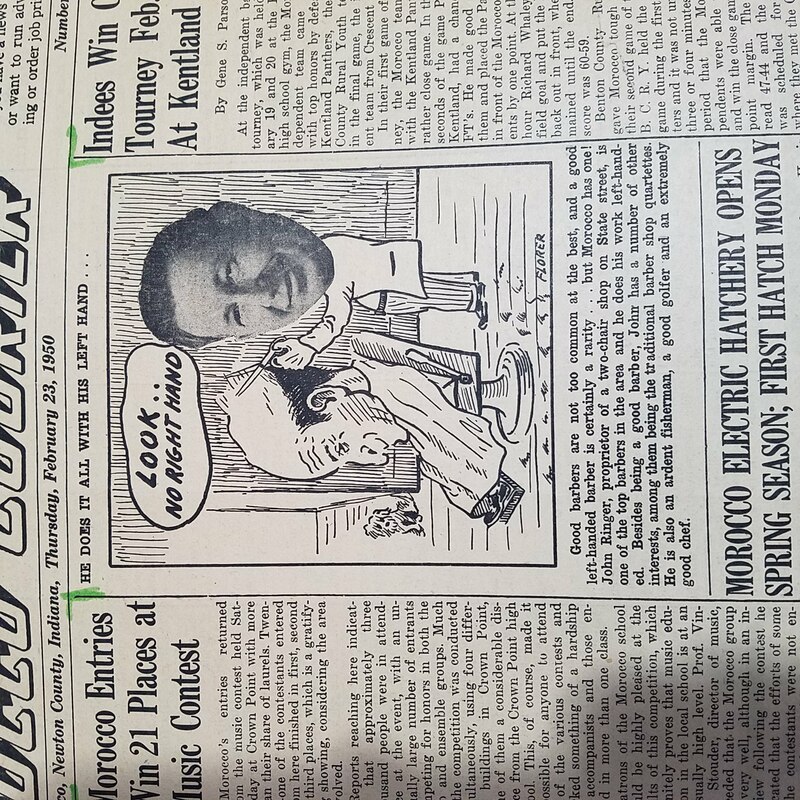 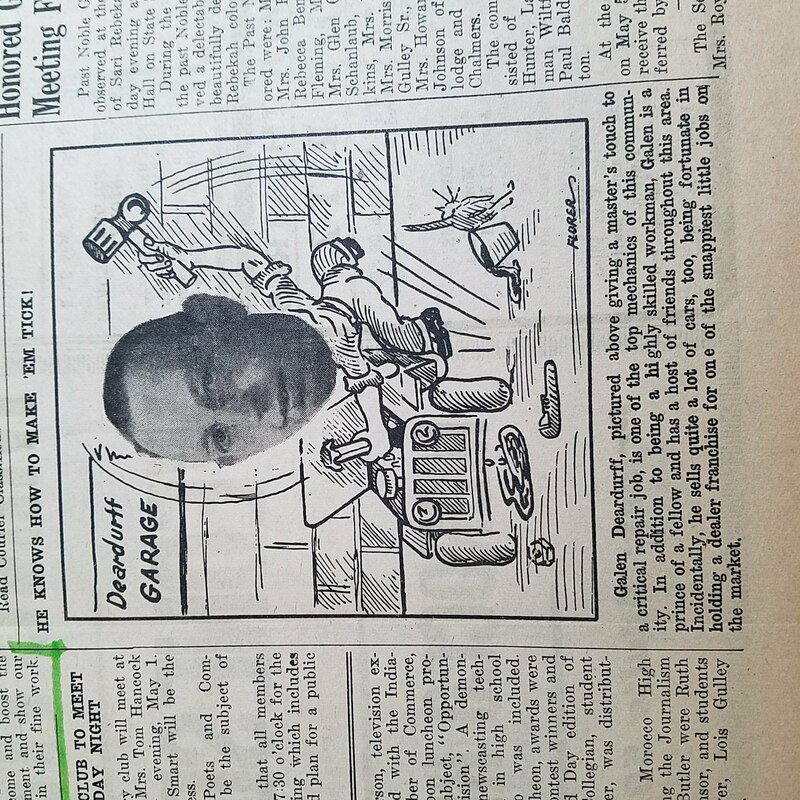 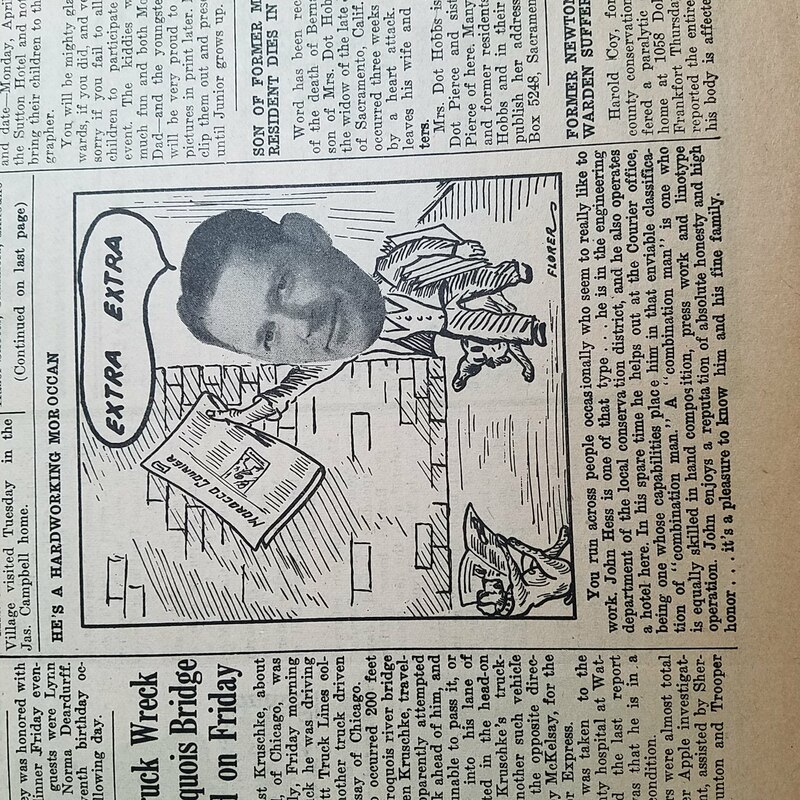 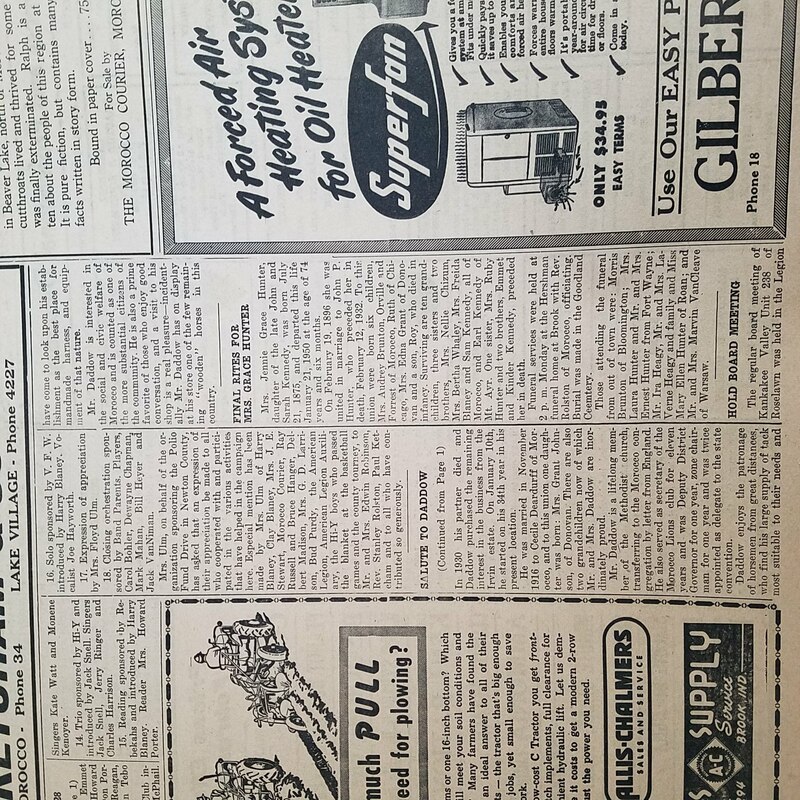 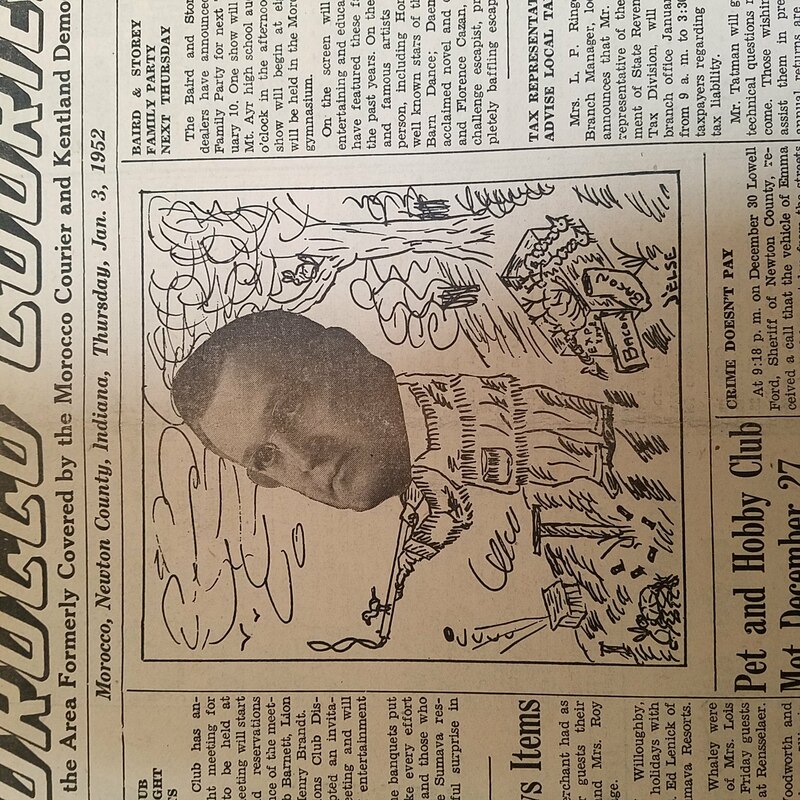 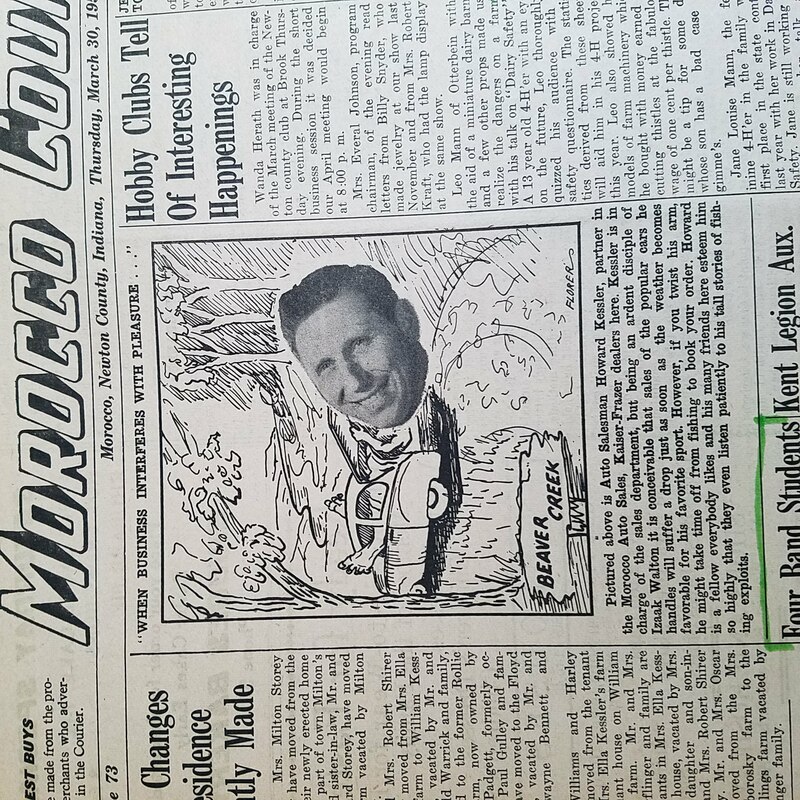 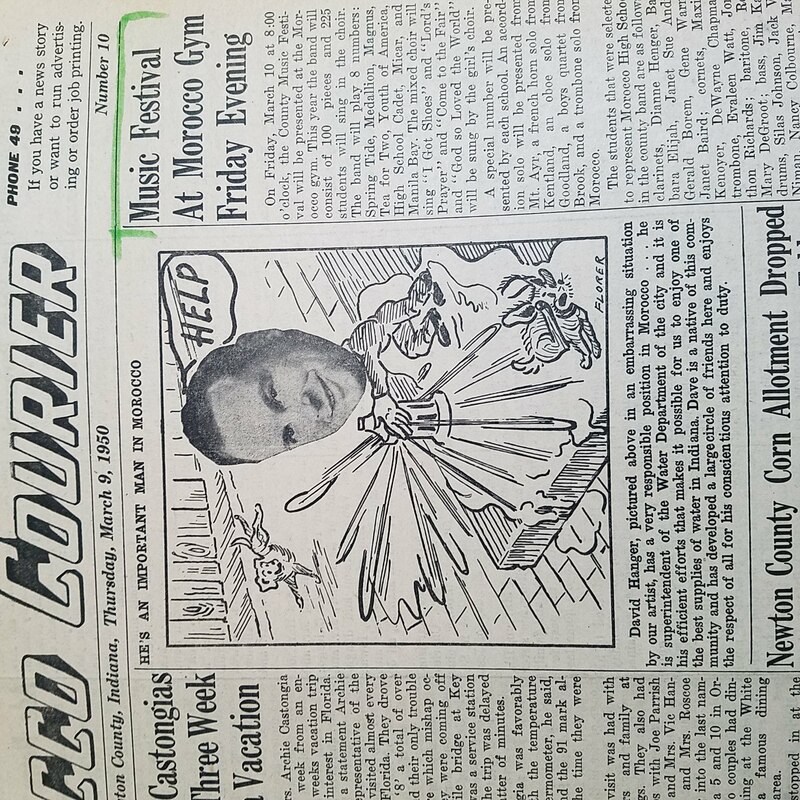 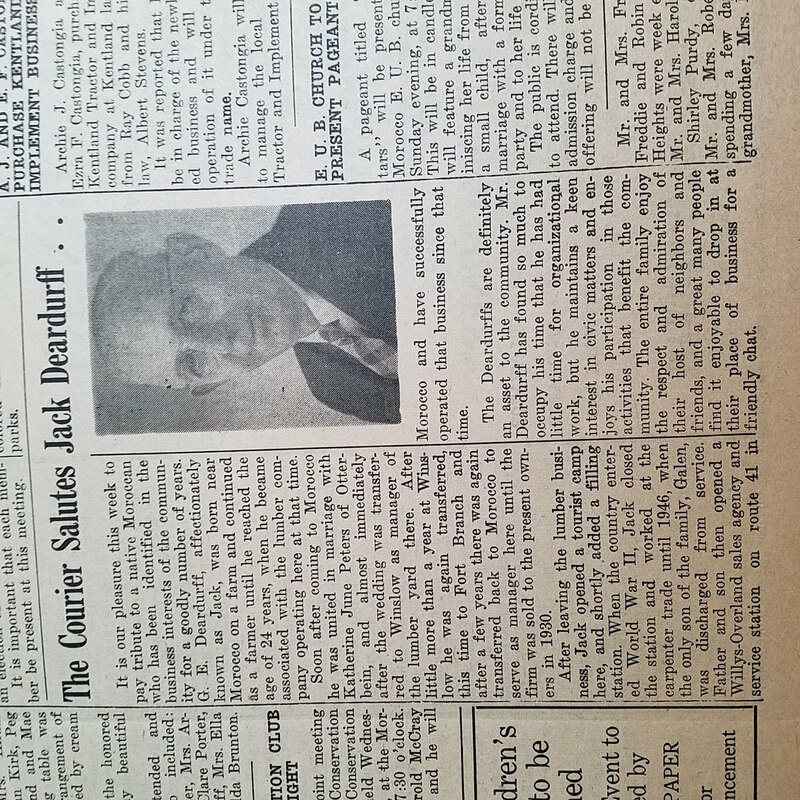 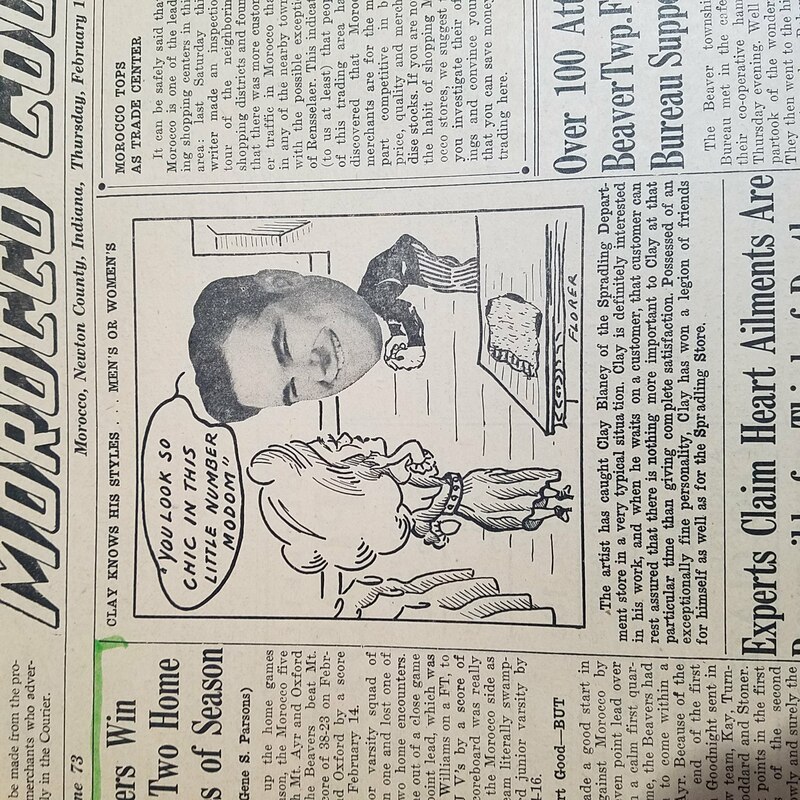 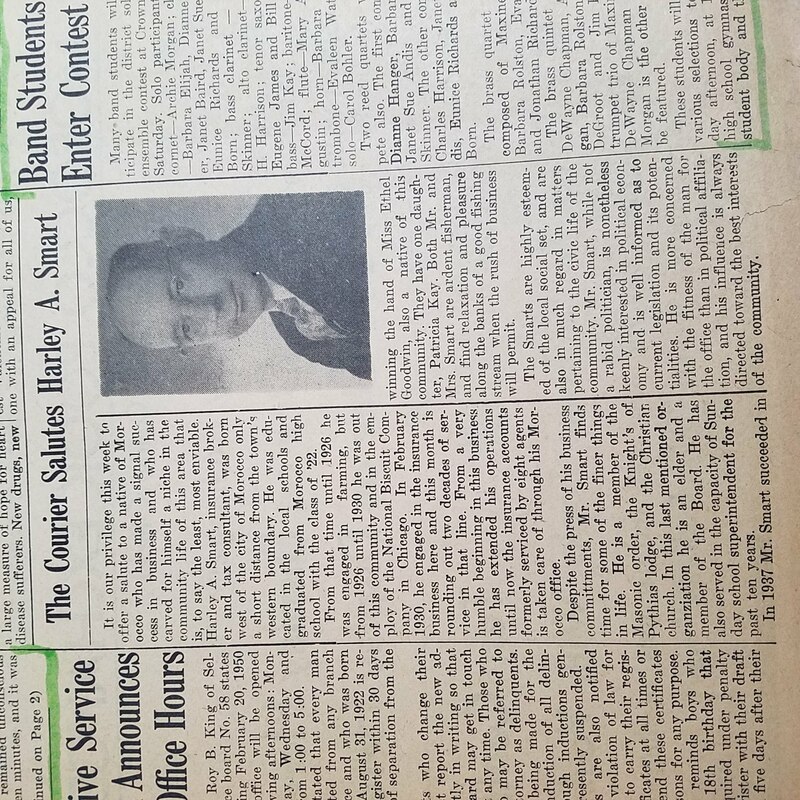 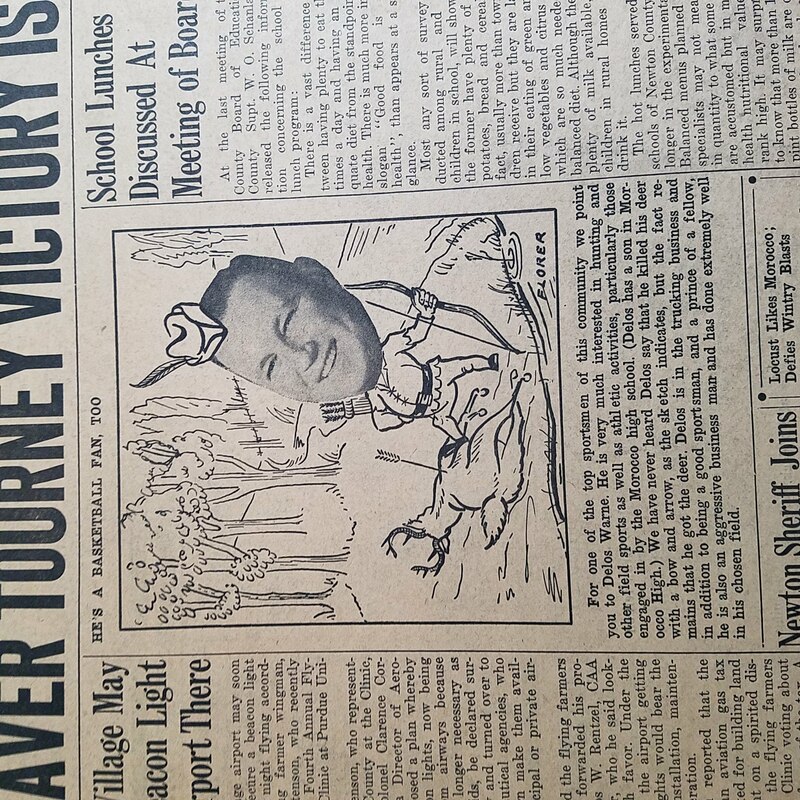 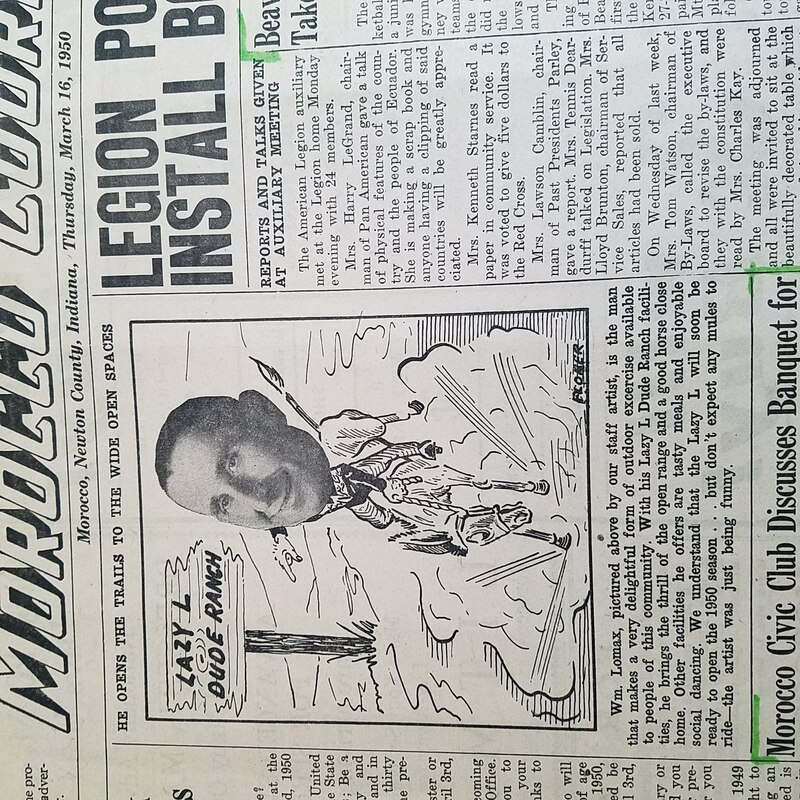 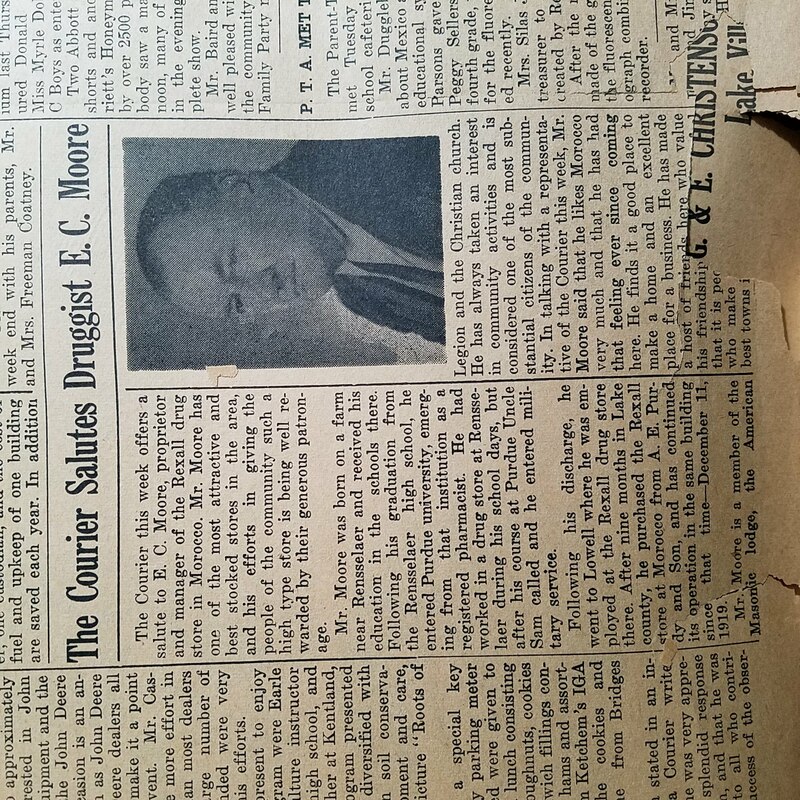 In the 1950 - 1951 Morocco Courier editions, editor/publisher/owner Vernor Ellis used the photos of local dignitaries with hand drawn cartoons to depict the individual and their role in the community. 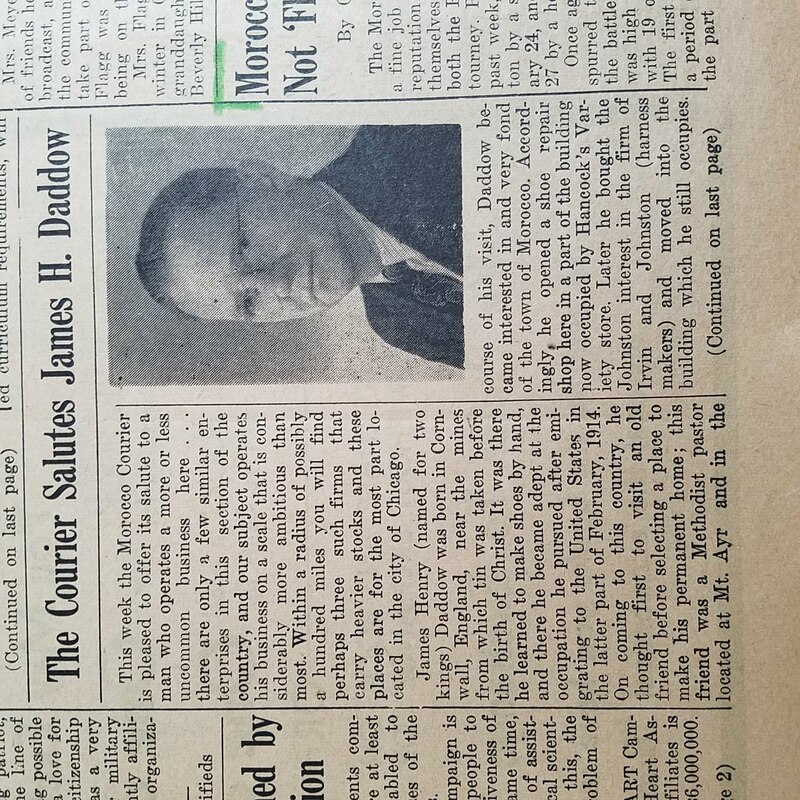 Most were identified, others not. 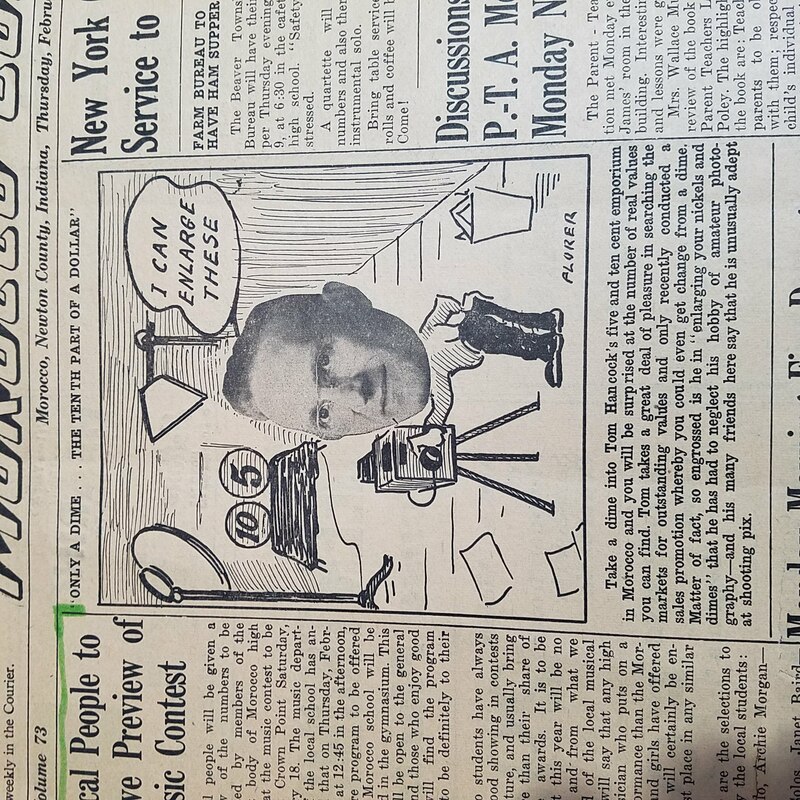 Some were cartoons, some were write-ups. 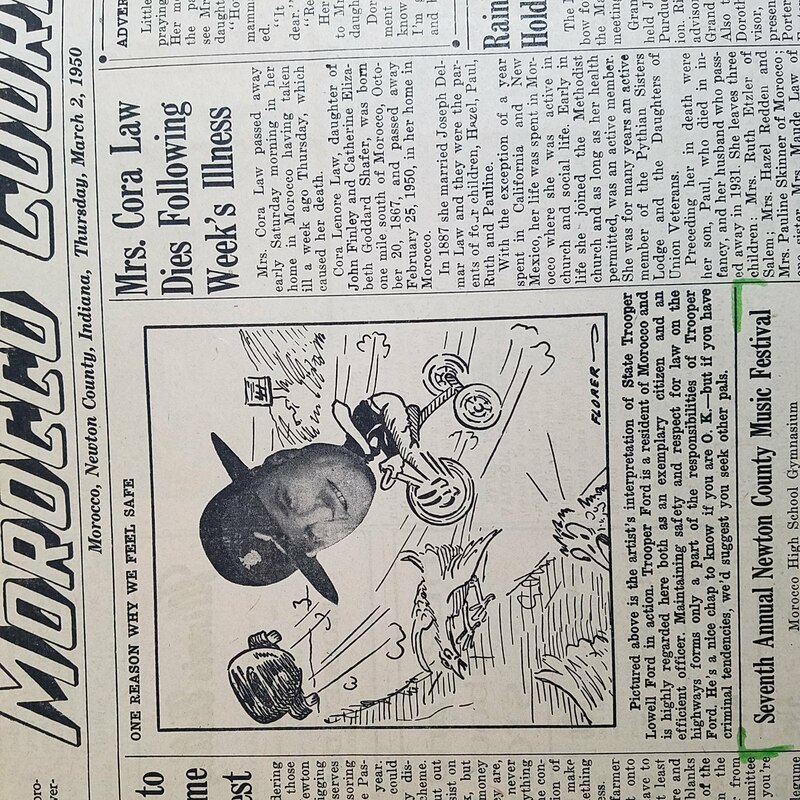 If you have correct information, please contact the Newton County Coordinator to update. 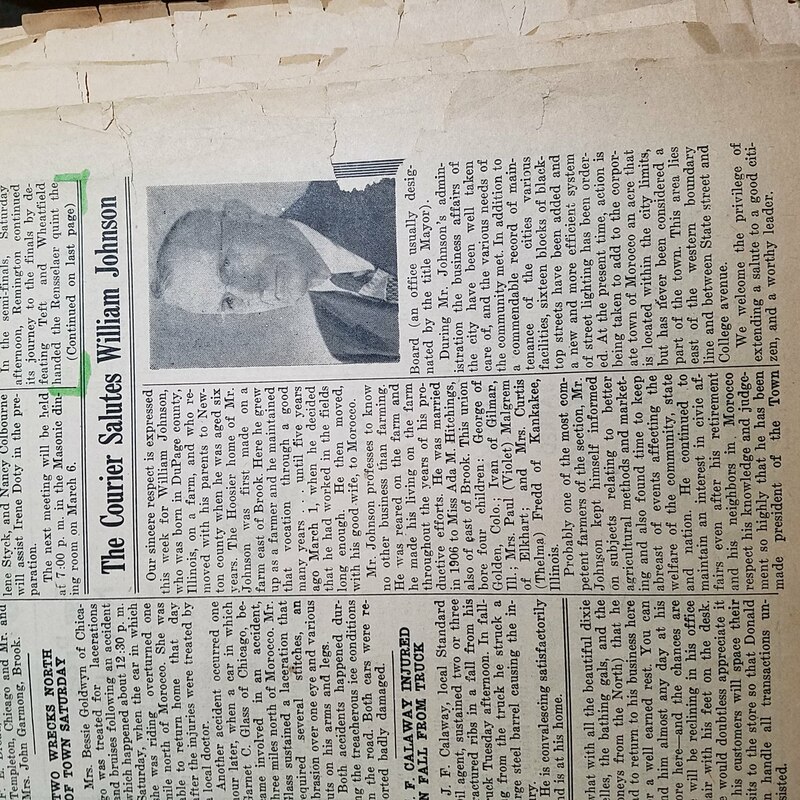 You can find comments about them on our facebook page Historical Newton IN Thank you to Beth Bassett for contributing this information. 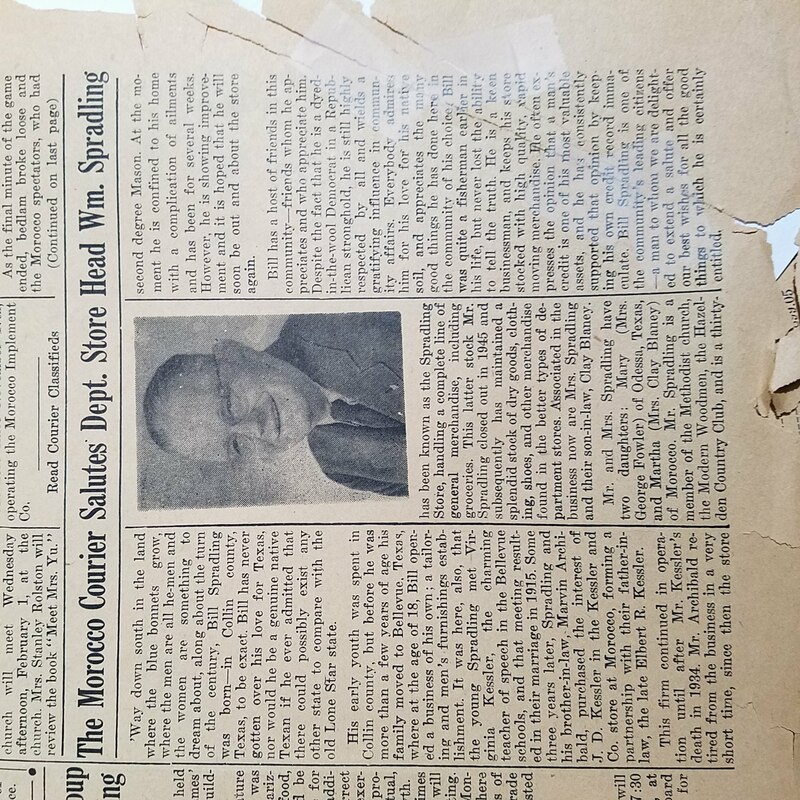 Click on the last name to view image.